Having lost his father at a very young age, Baltej Singh Dhillon had to shoulder responsibility along with his older brother for his entire family. He thus made a decision to immigrate to Canada and arrived in this country in October 1983 to begin a better life for his family. He helped his 3 siblings settle in Canada and supported them through every means possible. Baltej’s first job was picking berries in the farms as a laborer for four years to support the family and pay for school. He then began his journey in fulfilling his career goal - becoming a police officer with the Royal Canadian Mounted Police. 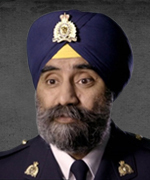 Inspector Dhillon has served on high profile cases and murder investigations, receiving numerous honors and commendations. He is an accomplished Major Crime Investigator, Police Interrogator, Polygraph Examiner, Intelligence Office and Emergency Planner. He was also given the responsibility of developing the Provincial Intelligence Centre of British Columbia, the first of its kind in Canada. He was also selected to head BC’s Federal Serious and Organized Crime Intelligence Group, and is currently the Officer In Charge of Emergency Preparedness for the RCMP in BC. Over the years Insp. Dhillon has worked to give back to his community, volunteering at youth camps and the community at large as a counsellor, mentor motivational speaker and lecturer for over 20 years. He has also served as committee member and then Co–chair on the South Asian Advisory Committee and Consortiums in the Lower Mainland for United Way and was also the past Chair of the Kwantlen Polytechnic University Alumni Association. He is currently a Director with the WorkSafe BC Board, member of the guild of speakers with Passages Canada, Director of 3HO Organization in Vancouver and a Director with the Canada India Education Society. An accredited Yoga teacher, he has volunteered his time inspiring and teaching yoga to participants at Welcome Home Society who struggle with drug addiction and now volunteers his time leading classes attended by his colleagues at the RCMP Headquarters in Surrey. Insp. Dhillon is the recipient of an Honorary Doctorate from Kwantlen Polytechnic University for his contributions in the community. He recipient of the Queen Elizabeth II Golden Jubilee Medal (2003), the Queen Elizabeth II Diamond Jubilee Medal (2012) for community service and service to the youth, along with numerous other Community awards for his volunteer service and work in the community. Dr Karminder Singh Dhillon is currently the Head of Expertise Development at the National Institute of Public Administration Malaysia. He has previously served at the Prime Ministers Department, the Institute of Diplomacy and Foreign Relations, Ministry of Foreign Affairs and at the Ministry of Defense. Dr Dhillon teaches at the National University of Malaysia on an adjunct basis. He has previously served as adjunct faculty in the Department of International Studies, University of Malaya and at the Malaysian Defense College. 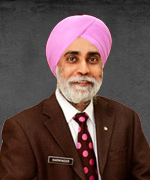 Dr Dhillon holds a B.Sc in Political Science, a post-grad diploma in Public Management, an MA in International Relations and International Communication, and a doctorate in International Relations. He has obtained his educational and professional qualifications from Harvard University, the University of Nottingham, UK, the National Defence University, Beijing, Boston University and University of Science Penang. Dr Dhillon is the author of Malaysian Foreign Policy in the Mahathir Era, 1981 – 2003: Dilemmas of Development, National University of Singapore Press, 2009; and has published a variety of scholarly articles in Journals. Dr Dhillon writes and speaks on Gurbani matters. His writings have appeared in The Sikh Bulletin, The Sikh and the Asia Samachar portal. He has been conducting weekly Understanding Gurbani classes in Gurdwara Sahib PJ for the past seven years. He sits on the Board of SIKHI VICHAR FORUM.COM – an organization dedicated to creating awareness of Authentic SGGS based Sikhi amongst members. Arjun Pahwa is an experienced professional who moved to Canada in 2015 from India. He is a believer, hard worker and passionate towards learning about new technology and innovation. His enthusiasm to help and mentor youth led him to join this association. Having himself faced the struggle a new student goes through when he moves to a new place, he is thrilled to be involved in helping students-in-need with their transition. Arjun understands the expectations of fresh young students from their professional lives and he is excited to share his experiences regarding the reality and harshness of professional life so they may step into the next phase of their lives as fully informed and responsible individuals. Arjun received a degree in Marine Engineering from Birla Institute of Technology, India, before moving to Canada where he attained his Master’s degree in Naval Architecture and Marine Engineering from University of British Columbia, Vancouver. He currently works as Naval Architect at Seaspan, one of the largest ship manufacturers in Canada. He is proud to be a part of Sikh on Campus. 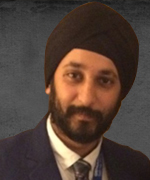 Dr Harminder Singh is a Senior Lecturer in Business Information Systems at the Auckland University of Technology in New Zealand. He studied accounting at the Nanyang Technological University in Singapore, and holds a PhD in information systems from Michigan State University. 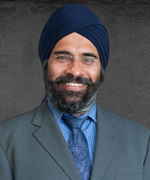 Dr Harminder sits on the board of the Auckland chapter of ISACA, the international IT risk assurance association. Dr Harminder was the past President of The Sikh Sewaks Singapore, a Sikh youth organisation, where he was actively involved for more than a decade in organising Gurmat camps, exhibitions, and adventure activities. He has also coordinated community events with other Sikh organisations in the region -- The Sikh Naujawan Sabha Malaysia. In 2005, he was an integral part of the initial Global Sikhs team that carried out critical relief work in Aceh, Indonesia after the 2004 Boxing Day tsunami. His team provided essential food and nourishment to sustain tsunami victims in remote villages, who had not received aid and help. He is currently an advisor to Sikh Youth New Zealand, a newly established Sikh youth organisation in New Zealand that is working hard to contribute to the community through a monthly free kitchen and adventure camps.